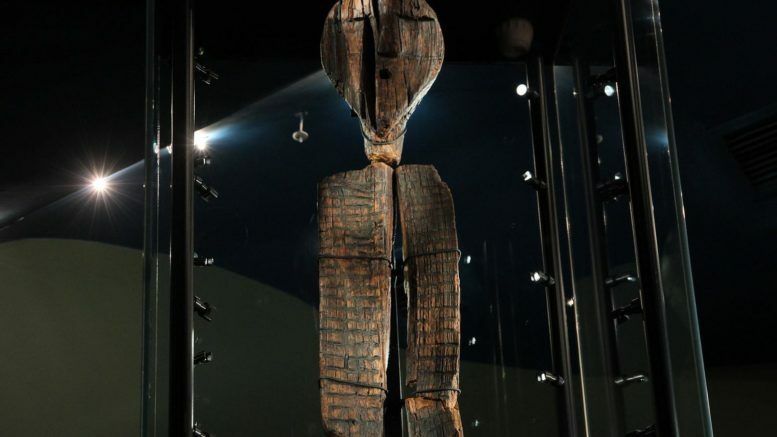 The Shigir Idol exhibited at Sverdlovsk Regional Museum in Yekaterinburg was recently confirmed as one of the oldest pieces of monumental art ever uncovered. 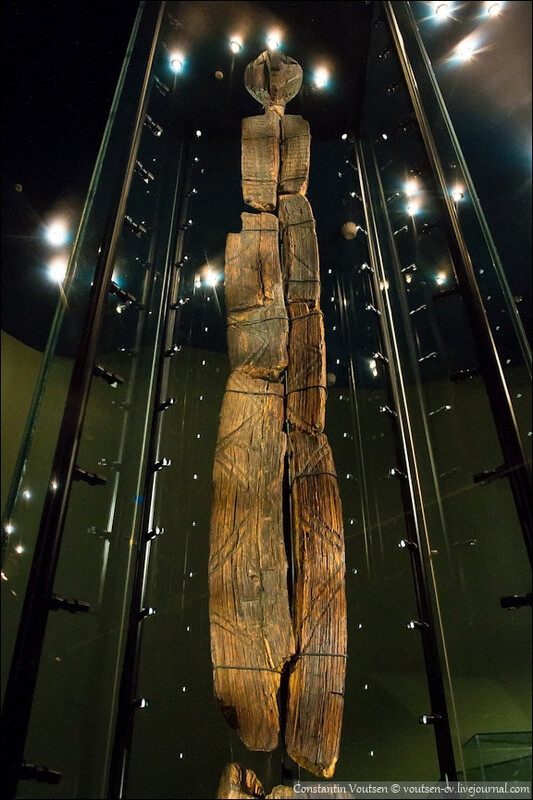 The sculpture is at least 4,000 years older than Stonehenge and double the age of the Egyptian Pyramids, and could only survive due to the unique conditions of the Shigir peat bog located 100 km north of Yekaterinburg, where it was discovered in1894 during gold mining. Since then, the idol has been an object to archeological studies but the unusual character of the sculpture made it difficult to assign a date from its typology, and indeed it remained undated for decades, until in the 1990s, scientists removed a portion and used radiocarbon detectors to date it. It produced an age of about 9,800 years. Any scholars rejected the result as implausible. Hunter-gatherers did not have the ability to make such a huge work or have the complex symbolic imagination to decorate it in the way that the idol has been adorned, skeptics argued. Studies cast new light on hunter-gatherers at the end of the ice age. In this regard, the Shigir Idol and its significance is in new spotlight. Studies cast new light on hunter-gatherers at the end of the ice age. We can be excited about new theories and views about the human history. In this regard, the significance of Shigir Idol is to be reevaluated. For more please read the Guardian article and the Academic paper.